Sustainable tourism doesn’t have to mean a hut in the jungle; these are hotels are renovating with greener infrastructure, electing conscious business partners, and building a great reputation with concerned customers. 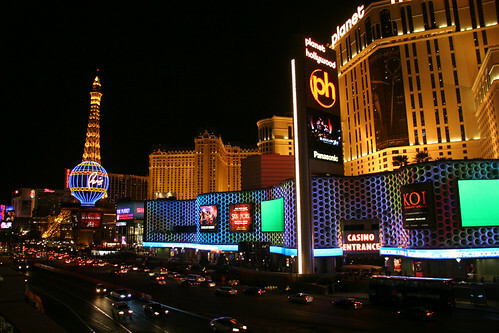 One of the best-kept secrets in the Wild West is that Sin City is really Green City. Thanks to the committed efforts of three of the city’s largest casino-resort operators, the Las Vegas Strip, that legendary bastion of glitz and neon, is actually a model community when it comes to sustainable environmental practices. MGM Resorts, Caesars, and the Sands have emerged as exemplar environmentally conscious brands. Photo by Joe Vare. While much of the motivation derives from concerns about corporate social responsibility, the growth of sustainable practices is also driven by business concerns.